I almost forgot to do this post today! Every Friday, Bacardi Mama is our host so we can show off our favorite picture of the week. In her words, "The premise is easy. All you have to do is show us your favorite picture you took over the past week. It doesn't matter what it is. If it is your favorite, that is what you post. Pretty simple, right? 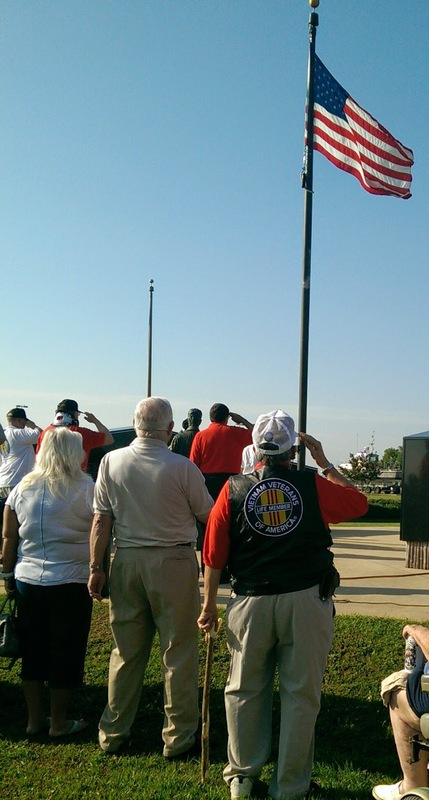 So here we go...."
Vietnam Veterans during a flag ceremony last Saturday in Mobile, Al. What an honor it was to be in their presence. It was heartbreaking at the same time, knowing that those men (and women) are just now being welcomed home. 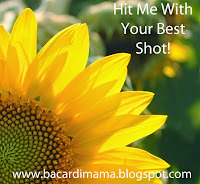 If you have a picture to share, leave the URL of your post in Bacardi Mama's comments. That capture makes me proud to be an American. Thanks for joining in. I think I would have cried if I saw that ceremony! Great picture to feature here. What a powerful picture. We had a funeral here yesterday and the Freedom Riders (biker group) led the processional. I sat and cried as they passed. That's is a beautiful photo.